What can labor historians learn from the history of the movement for Wages for Housework? Through the Wages for Housework movement, labor historians have learned that the “classic” job market–the factory and the office–is only one face of human work. Hidden behind the work of producing goods, there was another face: all the invisible, free work of reproduction and the renewal of labor power, work generally assigned to women and subordinate to the production of goods. This invisible work hides the exploitation of women’s reproductive labor in the home, which in turn becomes much greater exploitation outside the home. This work constitutes part of the reproductive cycle of capitalism and contributes to the accumulation of capital in a crucial way. 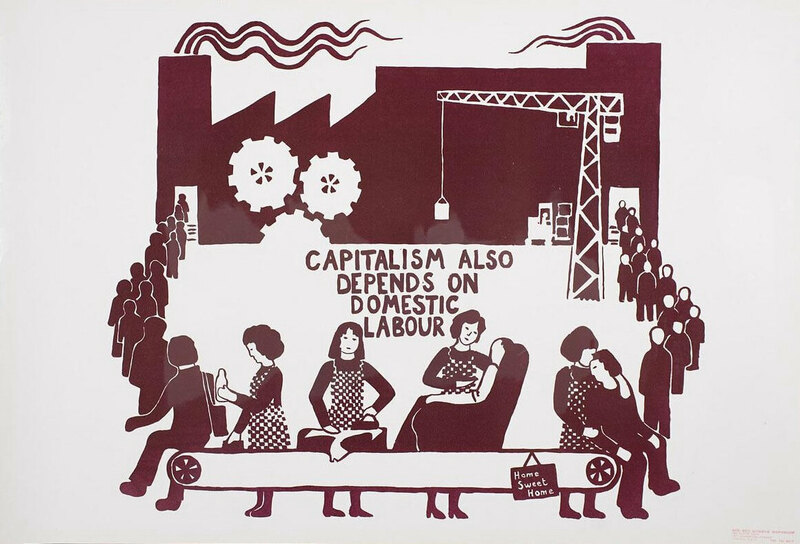 This work of social reproduction effectively allowed the capitalist economy to rely on an enormous amount of unpaid work, carried out by unwaged, or poorly waged, women. Capitalism benefits from this free labor–it is used to supply a “ready-to-work” labor force–but it doesn’t have to pay for it. This was one of the important contributions of the Wages for Housework perspective on the concept of work, formulated in 1972 by Mariarosa Dalla Costa and Selma James in their book The Power of Women and the Subversion of the Community. Your book is deliberately international, and Wages for Housework was perhaps a particularly international movement. How did the fact that the ideas were developed and shared across national contexts shape the movement? Were there meaningful national differences? 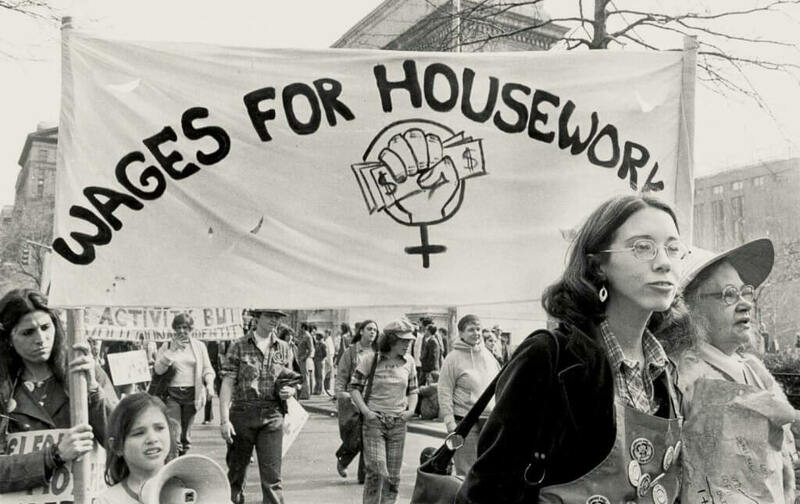 The International Feminist Collective (IFC) was the name of the Wages for Housework movement at its outset (from 1972 to 1977, the period studied in my book). The IFC was a network of groups, established in various countries in the northern hemisphere, that identified with the Wages for Housework political analysis and struggled to advance its perspective. Member groups used the IFC network to coordinate encounters and the exchange of information on each other’s mobilizations, for reflections and discussions on situations of the moment, and for concerted actions. The intention was to start from the Wages for Housework political perspective, to engage in international feminist mobilization, and to act together. In a word, it was a feminist ‘Internationale’ ahead of its time. During the international conferences in New York, London, Toronto, Montreal, and Chicago, they met to discuss the various challenges of national action with the intent to eventually plan mass actions transcending borders. Unfortunately, the short existence of the International Feminist Collective prevented the movement from reaching a larger scale, and so “the political potential was not realized,” as Sylvia Federici, one of the founders of the IFC, explains today. But the “internationalist” intention was certainly there. Indeed, there were national differences, at least in the period from 1972 to 1977. The IFC was a network of Italian, English, Canadian, and American groups, as well as some located on the periphery of the network, like the German and Swiss groups. They were on the periphery in the sense that although these groups were not formal members of the IFC, they kept in contact with the network through exchanging correspondence (we were well before the internet! )–with documents, visits, and translating of the documents into each group’s respective language–they followed a strategy of their own. Historians of the United States have grown especially interested in the 1970s as a crucial decade to understand the contemporary world. How does your book add to our understanding on the 1970s and its movements? Firstly, my book adds a missing chapter to the history of feminist movements. Despite the fact that Wages for Housework led to extensive press coverage and was very controversial during the ‘70s, it practically disappeared from feminism’s radar and even from teaching and historical accounts by the time I wrote my book (published in French in 2014). It was as if the movement had never existed. My book is the first attempt to reconstruct the history of the thought and actions of the Wages for Housework movement at its outset, during the period from 1972 to 1977. 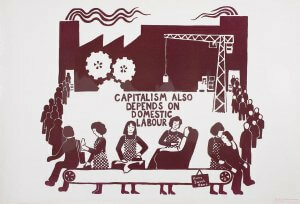 I believe that it will help to publicize the inceptions of feminist thinking on social reproduction. Today, the concept of social reproduction is widely studied in universities, but few recognize theorists from the Wages for Housework movement as the true initiators of feminist theories of social reproduction. We can think here of Mariarosa Dalla Costa, Selma James, and Silvia Federici, to name the most well known. The majority of people–even feminists today–believe that the feminist movement of the ‘70s promoted access to salaried work as the only labor liberation strategy. My book challenges this assumption, demonstrating that not all the feminist movements of the ‘70s employed only this strategy. 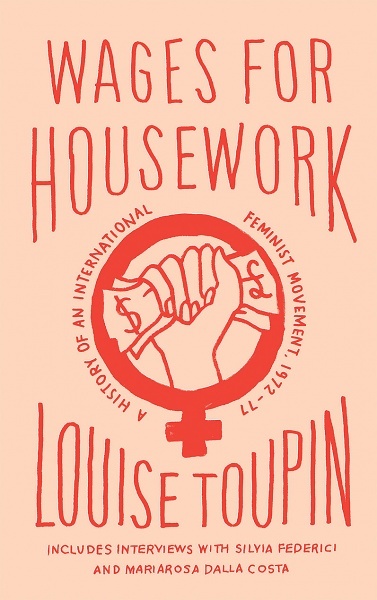 The Wages for Housework movement proclaimed that it was necessary to combine the struggle to gain access to paid work with a counter-strategy from the kitchen–“counterplanning from the kitchen,” as Silvia Federici and Nicole Cox put it–focused on the recognition of the work of social reproduction. In the past few years, there seems to have been renewed interest in wages for housework as a principle and a movement. What should the history of the movement in the 1970s teach feminists today? The assignment of women to this work explains, today as yesterday, much of the discrimination women face. In lieu of seeing different types of discrimination as isolated issues with piecemeal solutions, the Wages for Housework perspective allows us to grasp the link between each of form of discrimination and the primary importance of social reproduction. For example, this transversal perspective can help us understand why a mother must “choose” part-time work in order to care for her children, why a woman must leave her salaried job to take care of a disabled child or a sick parent, or why a woman must leave her country and her loved ones to take care of strangers across the ocean. In short, the Wages for Housework movement has taught us to develop a cross-cutting view of the issue, allowing us to create intersectional alliances beyond multifaceted oppressions. The International Women’s Day March in New York, March 12, 1977. Photo by Bettye Lane, via Schlesinger Library, Radcliffe Institute. The Wages for Housework movement strove toward uniting women despite the divisions which separate them, notably between salaried women and non-salaried women. Those who were salaried became housewives once more when they returned home, having worked during the day in specialized sectors associated with the work of housewives. Salaried women and non-salaried women found themselves to be the same person. Therefore, the slogan that all women are first housewives was potentially a unifying force. There was space for these alliances, even if the relationship of the women to housework and reproductive work differed according to their racial or class identities. Now that your book is out, what books are you excited to read? Well you know, the English translation of my book has now been co-published by Pluto Press and the University of British Columbia Press, but it was originally published in French in 2014 (by Remue-ménage in Montréal), so four years ago. Since then, I have continued to work with the issue of invisible women’s work through publishing a collection of texts about this issue with a young historian named Camille Robert. The book is titled Travail Invisible: Portraits d’une lutte féministe inachevée (“Invisible Work: Portraits of an unfinished feminist struggle,” Montréal, Remue-ménage, 2018). This book demonstrates that the perspective developed by the Wages for Housework movement and the subject of reproductive labor remain hot topics.